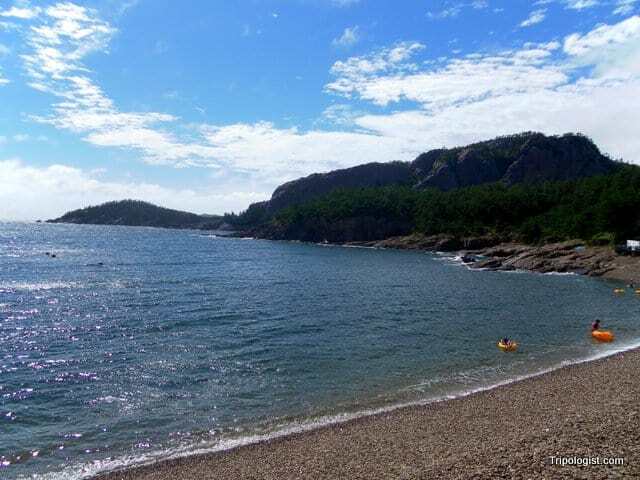 When I think back to my time in South Korea, and the extensive traveling that I did while living there, there is one place that keeps coming to mind as my absolute favorite place: Seonyudo Island. Located any hour by ferry from the port city of Gunsan, Seonyudo feels a world away from the hustle and bustle of Seoul. White sand beaches, forested mountains, secluded pebble beaches, and picture perfect fishing villages combine to make for one incredible island getaway. I first visited Seonyudo with the foreign travel group Adventure Korea, and it was on this trip that I discovered the beauty of the island. After renting our bikes, we peddled off to one of the three islands that are connected by a series of bridges. Despite getting soaked by a monsoon rainstorm, we peddled on, past fishing villages and beautiful scenery until we reached the end of the road. The scene was so breathtakingly beautiful and serene that it was hard to believe that we had been in downtown Seoul earlier that morning. After my initial trip, I went back on two different occasions, each time enjoying the trip more than the previous one. The beautiful hidden pebble beach of Seonyudo Island. Without a doubt, my favorite place on the island is the secluded pebble beach. Tucked away behind a small row of houses, the sound of the waves hitting the pebbles is one of the most relaxing sounds I can imagine. Walking along the pebble beach, you are surrounded by clear water and beautiful mountains. The beach is also a treasure trove of fantastically smooth sea glass. Another great place on the island is the main sand beach. 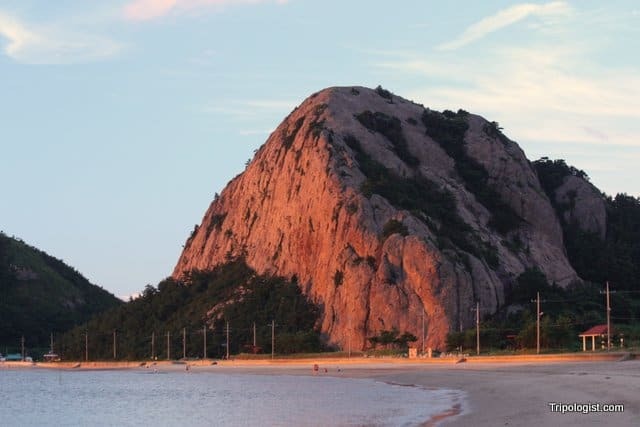 Flanked by Manjubong, a giant monolith standing guard over the crescent moon shaped beach, Seonyudo’s main beach is a great place for swimming, catching shellfish, or watching some of Korea’s most majestic sunsets. 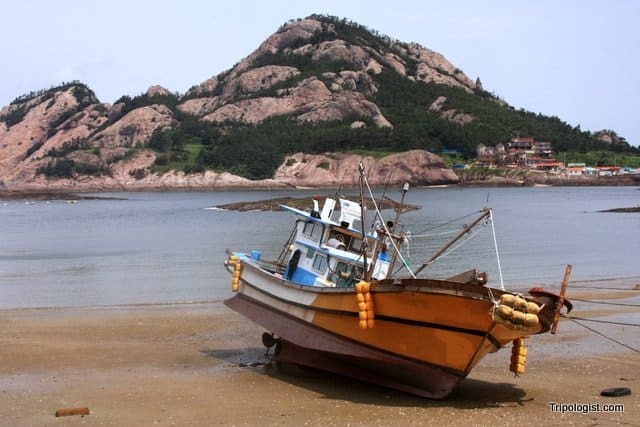 If you fancy seeing Seonyudo from above, a great hike to the island’s peak starts from near the island’s main beach. While not the tallest of hills, the summit still provides an excellent vantage point for viewing the many islands that dot the western coast of Korea. By far the best way to explore Seonyudo is by bicycle. Bikes can be rented in the miniscule main town near the ferry dock. Once outside of town, you’ll ride past fishing villages, forested hills, and hidden beaches. You might even seen locals cleaning their fishing nets for the next days catch. Some of the friendliest people that I’ve ever met have been on the island of Seonyudo. While many won’t speak much English, they are genuinely interested in you and will try to interact with you. For example, during one visit, my wife was given a steaming bowl of ramen noodles by a pajama clad child. If you are in South Korea, and want to get away from the cities for a few days, I highly recommend a trip to Seonyudo. Manjubong standing guard over Seonyudo’s main beach at sunset. Seonyudo is located about half-way down South Korea’s western coast. To get there, take a train or bus bound for Gunsan in North Jeolla Province. From the station, you can take bus number 7 or a cab to the Gunsan Ferry Terminal. Ferries leave from the terminal several times everyday, though the schedule changes frequently due to weather and the tides. From the island’s ferry dock, walk about 5 minutes to your right to reach the small town, which has a several restaurants, hotels, convenience stores, and bike rental shops. To get to the hidden pebble beach, head left from the ferry dock (the opposite direction from town), and make your way up the hill. When you reach the top of the hill, don’t cross the bridge, but take the road down the hill to your right. When you reach the bottom, follow the narrow paths through the buildings to your right. The pebble beach is just behind this narrow village. 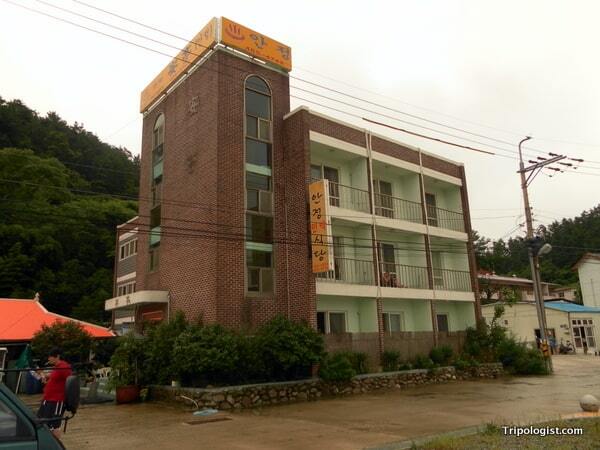 The hotel I stayed at on Seonyudo (Note this picture was taken in the summer of 2011, so it may look different). Added July 2014 due to many requests in the comments. Note: There is a small island in the middle of Seoul’s Han River called Seonyudo. Make sure that you don’t confuse them when looking for information. I’m so jealous that you are going to Seonyudo. I really miss that place. As for the hotel, when you get off the ferry dock, turn right and walk about 5 minutes past a few restaurants, bike shops, and the police station. You’ll eventually get to a big open area, with a bunch of buildings to your left. The hotel I stayed at every time is the only 4-5 story building there. They don’t seem to speak much English though, so it’s best if you know some Korean. If you want a picture of the hotel so that you can find it more easily, just email me through the contact page, and I can send you one. Hey man, just a shot in the dark here as I see your last message on here is a year old, but if you read this I don’t suppose I could get details for the hotel you stayed at could I? My gf and I are planning a trip there and are having trouble finding places online! Joe, I don’t have any specific details for the hotel, and I highly doubt you’ll be able to find anything to book online. However, if you follow my directions to town, it was the only 3-4 story building there (as of about 3 years ago when I was last there). I was there on a summer weekend and had no problem getting a room, so I doubt you have to worry much about reserving in advance. Have fun on your trip. I’m a huge fan of Seonyudo. Hello! 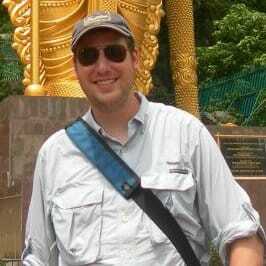 I’ll be going to Seoul in July 2014 and will be there for 7 days. How long does it take to travel from Seoul to Seonyudo? How many days do you reckon should be spent on Seonyudo? Would 1-2 days be enough? It looks lovely! Sorry for the delayed response, Michelle. Seonyudo is a great place to visit and can be done in a two-day trip from Seoul if you want. While you could certainly relax more if you opted to stay for a second night, I would probably recommend only spending one night there if you only have 7 days in the country. I’ve also written this 5-Day Itinerary for Seoul, which would pare well with a trip to Seonyudo. As for time, it’s about 3.5 hours from Seoul to Gunsan, 15 minutes taxi ride to the ferry terminal, and another 60-90 minutes to the island. Hope that all helps. Enjoy your trip! I plan to go maybe this WE to Seonyudo. My husband and I were planning to go 3 days (we are in Seoul), Friday to Sunday. Is that too long? You mentioned you had a picture of the hotel. Could you send it me? Friday to Sunday should be perfect. That’s how long I stayed every time and always wished I could stay even longer! As for the photo, I’ve added it to the article above for your reference. Sorry for the delayed response, Krystal. I would think that you would be fine getting a room on a summer weekend on Seonyudo, but I really don’t know for sure since I never visited in the island in July. I honestly can’t recall how much food was, but the options are fairly limited to either seafood and bbq places or the island’s convenience store. Prices didn’t strike me as too much more than the mainland though back in 2011. I hope that you enjoy your visit. If you notice anything that’s different than what I have in the article, please let me know. Thanks! You talk about biking on Seonyu-do, but can you get on the ferry with a vehicle and drive around the island? I haven’t been in a few years, but at the time, you couldn’t. There are very few vehicles on the islands as it is, and you definitely couldn’t get a car across the bridges, which is why you need a bike. I’ve never been that late in the season, so I don’t know if things are open or not. If you are looking for a relaxing weekend, Samcheok is a nice area with a few cool things to do nearby. Thanks so much for this post! I love collecting seaglass, but hadn’t come across any beaches in Korea with significant amounts, or well-tumbled pieces. I happened to be nearby for Chuseok when I looked up seaglass in Korea and found your post, so it was perfect timing! You can now drive to the islands from the mainland. I think they must have changed the village area a little. Now when you get to the bottom of the hill, you go right and just walk along the road to get to the beach. You can also drive there now. I found some beautiful pottery shards and stones too. Thanks again!